Kadampuzha meaning 'the forest river', but no river is present now is a small town in Kerala and is known for the famous temple of Goddess Durga by the name Kadampuzha Devi Temple. 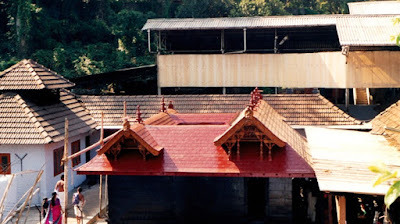 Kadampuzha Devi Temple is a Hindu temple, situated in the Thiroor Taluka of Malapuram district in Kerala.Here is some fact about Kadampuzha Devi Temple near Malappuram Kerala India. 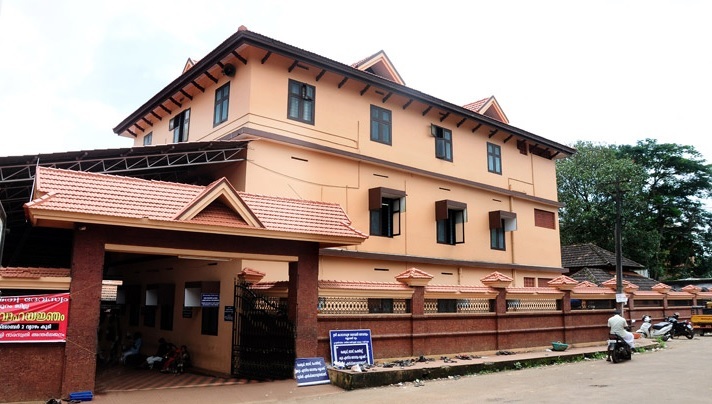 Address: Kadampuzha Bhagavathy Devaswam,Kadampuzha P.O.Malappuram Dist. Temple timing: 4:00 AM to 12:00 PM and from 3:30 PM to 7:00 PM. Darshan Dress code: Devotees are not supposed to enter the Nalambalam of the Kadampuzha Devi Temple wearing shirt, pants, banyan, pyjama, lungi, chequered cloths, chappals, etc. How to Reach by Air: The Nearest airport is Calicut Airport (41 KM). How to Reach by Rail : The Nearest Railway station is Thirur and Kuttippuram Railway station(18KM). By Road: There are many public and private vehicals available to reach here. Kadampuzha Devi Temple is located at small town Kadampuzha Malapuram district of Thiroor Taluka Kerala India.The temple was built in Mahbharata time but new temple built and under the care of Malabar Devaswom Board.The temple is dedicated to Goddess Durga or Parvati.One unique feature of this temple is that there is no idol. Prayers are offered to a hole in the temple which is about six centimetres in diameter. Pilgrims from all over the world travel here every year to visit Goddess Durga. 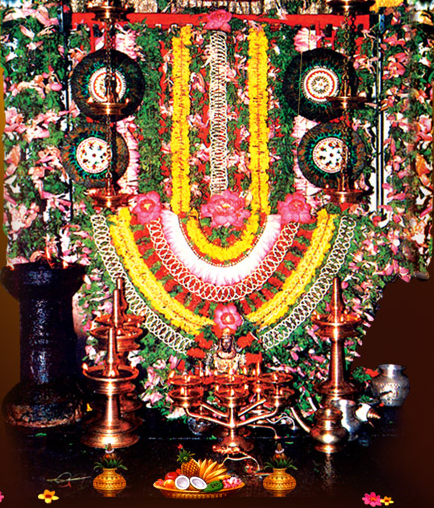 The temple at Kadampuzha for Sreeparvathi is devoted to Goddess Vana Durga. The Goddess is also known as “Kirati”. Since, the idol is “Swayambhoo” or natural manifestation, it is abstract in shape. The architecture of the temple is very simple without any imposing edifices or gold-plated flagmast. The first of its kind, the temple has no idol inside; the offerings are made at the hole where the Goddess is believed to have disappeared. 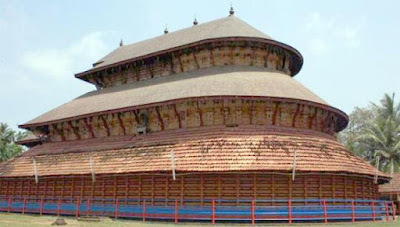 The major festival at Kadampuzha Temple is Karthika, which is celebrated on Karthika star day of Malayalam month Vrichikam (November-December). During this day there is Annadhanam to over 10000 devotees. 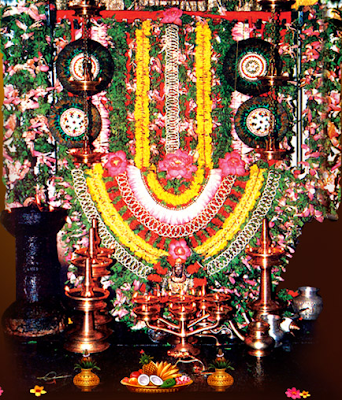 Other festivals are Rigveda Laksharchana,Ramayana Month(July),Ramayana Month(August),Dravya Kalasam, Devi Bhagavatha Navaham, Bhagavatha Sapthaha(October) ,Dravya Kalasam, Thirukarthika, Devi Bhagavatha Navaham, Bhagavatha Sapthaha(November),Rigveda Laksharchana, Thirukarthika(Decembe). The temple has a guest house for the convenience of devotees coming from far away places. There is a dormitory for which the charge is very nominal, Rs 20. There are ten double rooms (Rs 200), 6 deluxe rooms (Rs 350) and 2 suites (Rs 500).There is large number of Lodges and Hotels are available here.